Liz's Paper Loft: Golden Christmas ~ Card! Hi Everyone, today I'm back as Jinger's Featured Designer and am very excited to share with you an elegant Christmas card! 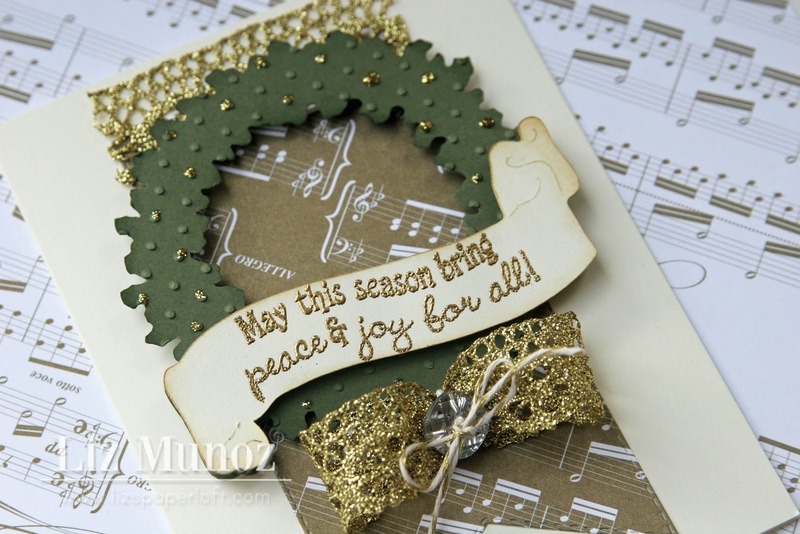 The gold music paper from the Jinger Adam's Bella Vita line lends it's self perfectly for Christmas! After running the wreath through my cuttlebug I added gold stickles to some of the dots! I took some of Jinger's beautiful gold trim to create a bow, then added some metallic hemp and button. 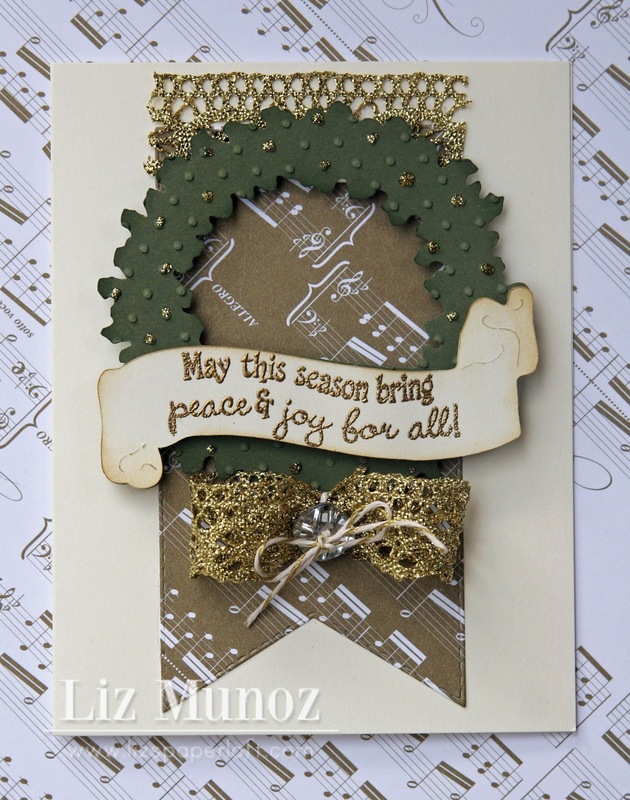 Liz, this is simply gorgeous AND elegant! 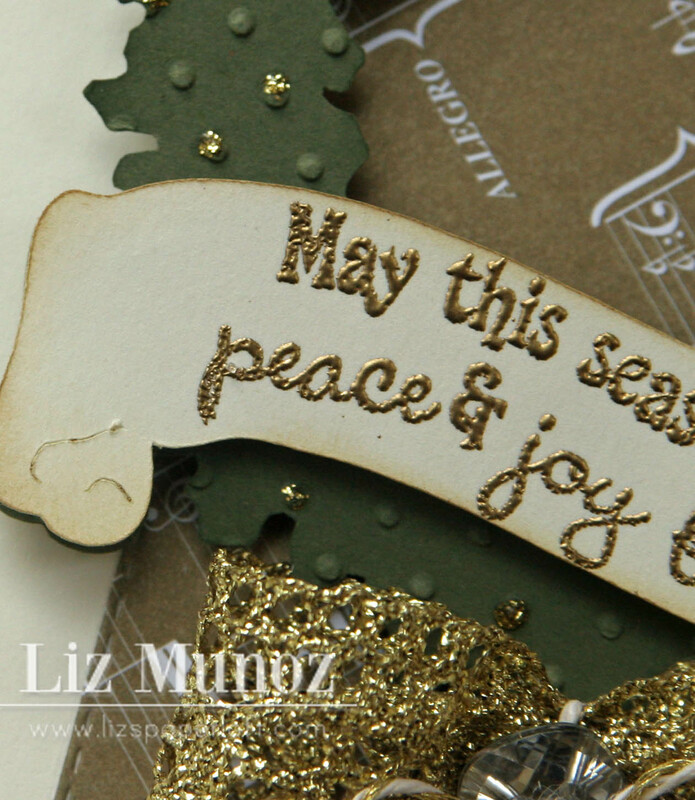 This turned out gorgeous, Liz! I love the mix of cuts and papers! Gorgeous card Liz! I am not a huge fan of the color gold, but I love the look of the embossing. I may have to pick some up on my next trip to Mike's. Liz ~ Oh this is just BEAUTIFUL!!! LOVe all the gold with the cream and green!! Just STUNNING! Awesome as always!! So BEAUTIFUL Liz! Love the colors especially the gold:) SO pretty! How pretty Liz, love the wreath! This card is gorgeous and so elegant. This is so beautiful and so very elegant. Love your work.